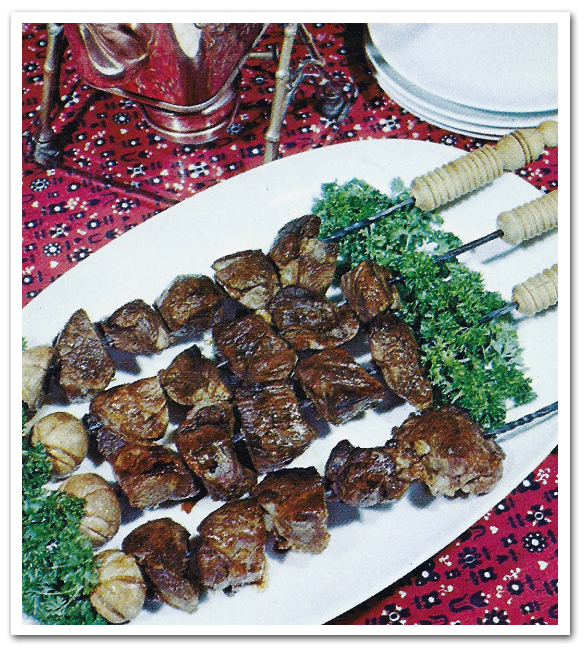 Kebabs or Shashlik (meaning skewered meat) was originally made of lamb. Nowadays it is also made of pork or beef depending on local preferences. The skewers are either threaded with meat only, or with alternating pieces of meat, fat, and vegetables, such as bell pepper, onion, mushroom and tomato. Awfully good!